Welcome to Condo Cheel 101, as managed by North American Standards (Nasplaya). This Gorgeous one bedroom unit sleeps 4 people and is located in the Quadra Alea complex. Quadra Alea is a new modern complex with ample green space, lush palm trees, 2 swimming pools, private security and underground parking. 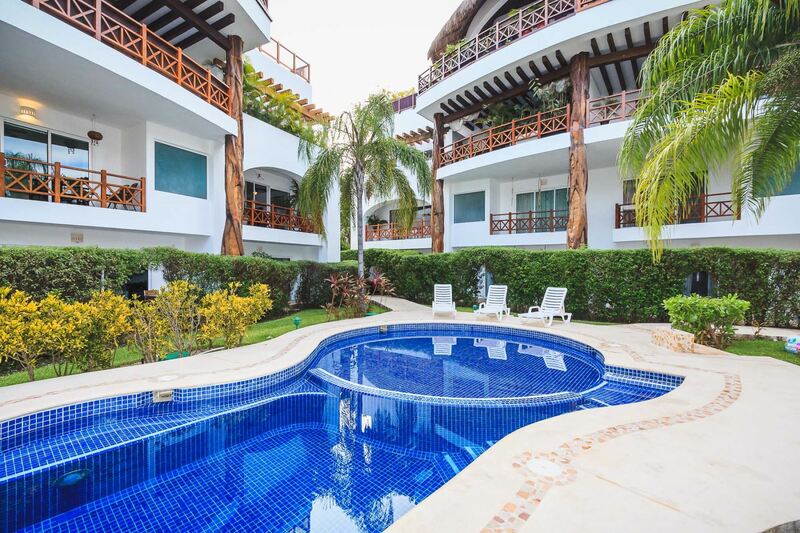 The condo comes fully-loaded with flat screen tv, washer and dryer, dish washer, Jacuzzi tub and private terrace. No expense has been spared in decorating this lovely condo. Famous 5th Avenue is less than 2 blocks away and the beach only a short 10 minute walk away. Quadra Alea is a very quiet complex with solid construction and windows and doors that hide any outside noise. 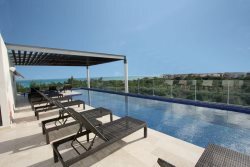 The Quadra Alea condos are conveniently located on 26th Street between 10th and 20th Avenue and feature a fitness center, 24/7 security, elevators in every building, 2 pools with lounge chairs, outdoor showers and changing room, reflecting pool and lush tropical landscape with some of the biggest green spaces of any condo complex in Playa del Carmen.